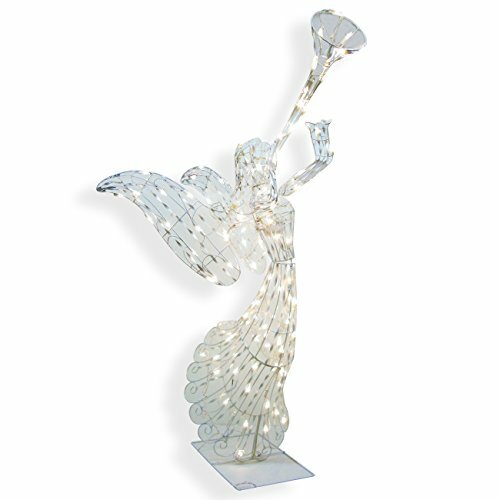 The 3D Angel announces Christmas with her trumpet. She stands 48" tall and is made of opalescent swirl twist construction, with 140 twinkling mini lights. Truly an icon of the season, in her pinkish dress that is blowing in the wind, she stands on her tiptoes and is holding a trumpet. UL listed for indoor/outdoor use and has a 60 inch lead wire. Stakes are not included with this item. If you have any questions about this product by Brite Star, contact us by completing and submitting the form below. If you are looking for a specif part number, please include it with your message.